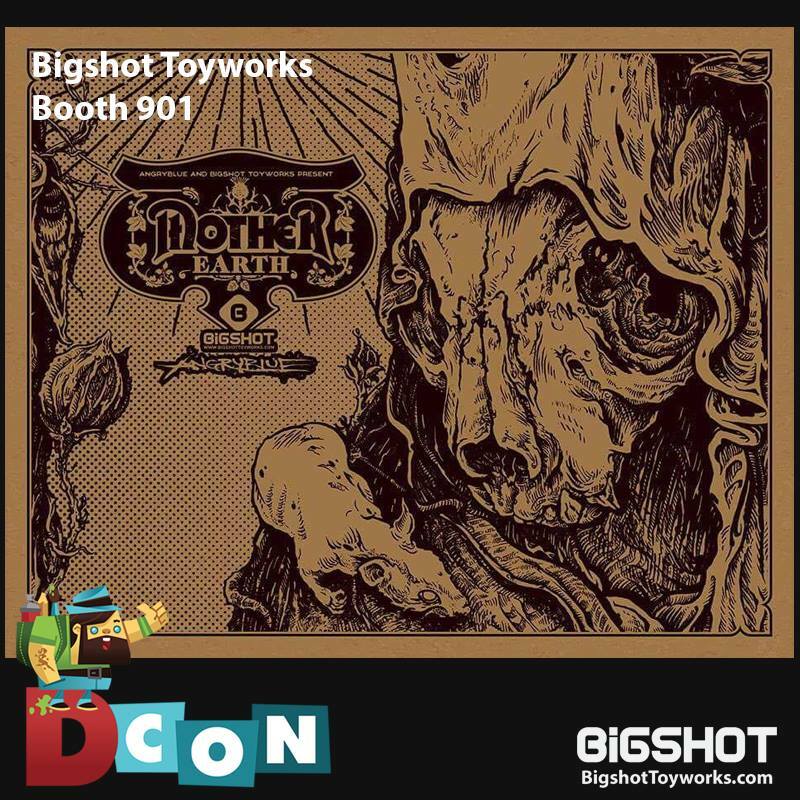 Angryblue (Justin Kamerer) will be on hand at the Bigshot Toyworks Booth #901 at DesignerCon to sign his newest art object release for fans! 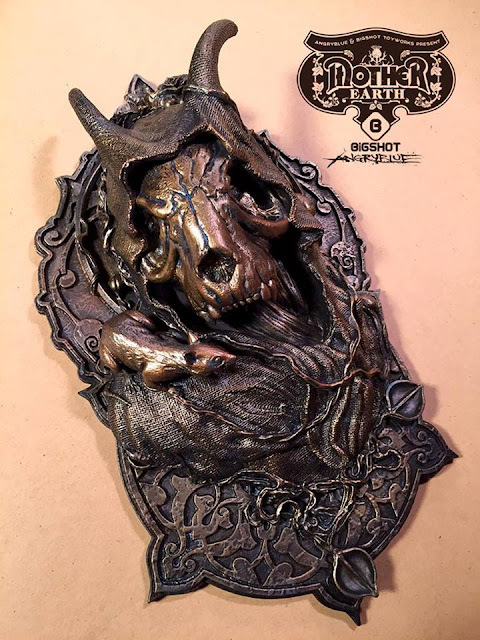 The Mother Earth piece is 14" long and comes with a hanging mount on the back to hang neatly on your wall. $125 each, only 100 made in heavy polystone. All City Style and Bigshot Toyworks are teaming up with Play Nice Toys to lend some rolling thunder to their awesome live art / dance party which will take place in Oakland, CA in May 2017. 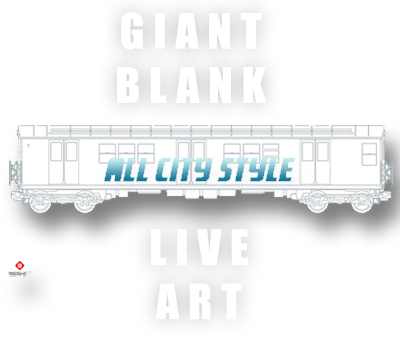 To celebrate, they've printed up some GIANT 8-foot-wide All City Style trains which will be at their DCon booth #1444. 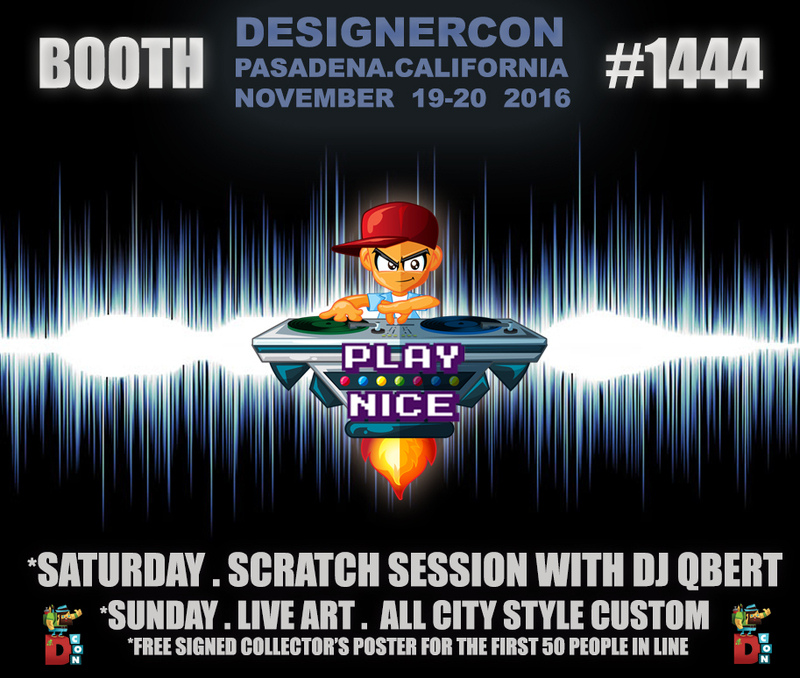 ALL ARTISTS are invited to roll up on their way into DCon and blast some art onto the giant ACS canvas! Play Nice is easy to find at DCon. Their booth is located in the hallway between the big room and the little room, just past the entrance and the 1000toys booth. Can't miss it, there's a giant steampunk DJ booth and also Play Nice will be projecting artwork onto the opposing wall. 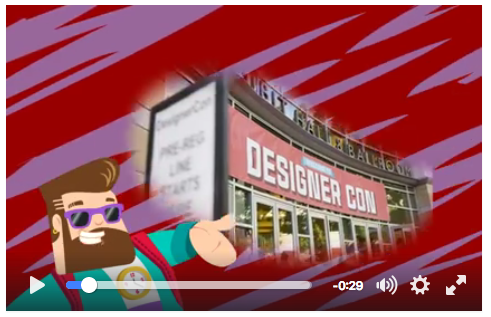 The DesignerCon countdown continues! As the nation continues to make history this week, con-artists everywhere are creating. What better time to get together with like minded friends to support the scene you love? Play Nice Booth 1444 is promoting an art/food/music mashup event located in the San Francisco Bay Area, at the historic 16th Street Train Station in Oakland, Memorial Day Weekend, Saturday, May 27, 2017. Showcasing designer toys, graffiti, sticker and DJ culture... there'll be everything from food trucks and interactive art installations to state of the art video mapping and some of the playa's favorite art cars. Get the exclusive Dcon ONLY ticket offer before prices go up!! Radioactive Uppercut will have a small handful of hand brush painted one-off items for sale this coming weekend at Designercon at the Toy Art Gallery booth. I did not know Roman personally, I am sad to say. After I learned of his sudden passing in 2014, I was able to read many tributes to him online and learn more about his life. Roman was one of us. By that, I mean that he was passionate about art and toys and sought to express his passions through photography, so that he could share the wonderful art with more people. Roman was a huge art toy collector, but more than that, he touched the lives of many people in our community, all around the world. In the past few years, I have seen a huge increase in interest in the designer toy world by Russian collectors. I don't think that's a coincidence. I think that truly special people can continue to have a tangible presence in the world long after they've passed. This is still true of my mother, who passed in 2001. Like Roman, she spent the better part of her life bringing people together. Like Roman, she had friends and contacts all over the globe - people who still talk about her, with sadness in her absence, but also with joy and love in their memories. The world is a little more gray because they are gone, but you can still feel their pull and their influence wherever you are. So it is with pleasure that I write this post about an book project that you can back on IndieGoGo. 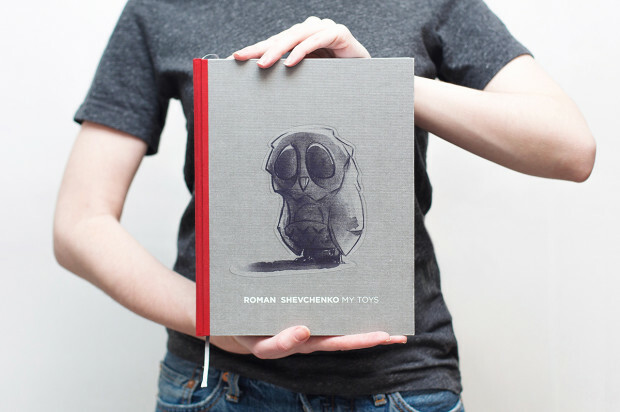 This is a book of photographs of art toys, all taken by Roman. His friends have set this whole project up as a way to honor Roman's life and continue to spread his influence around the world. 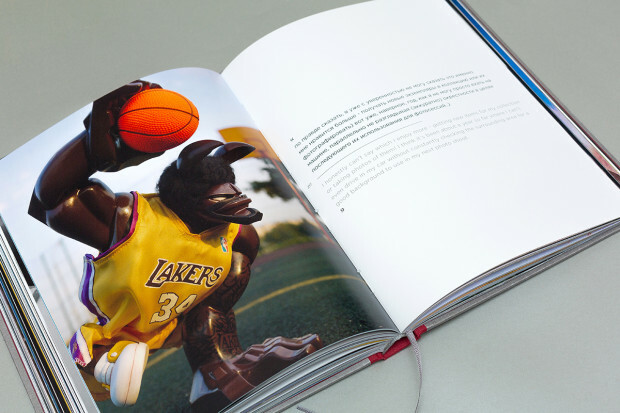 "This book is dedicated to designer toys by various designers, from mass produced figures to single custom-made ones. The book is a collection of fantastic photographs taken by one of the most well-known Russian toy collector and toy photographer Roman Shevchenko, aka AlPred. Each photograph tells a little story and introduced a figure from a very special, different angle. This photographs motivate the others not just to collect designer toys, but to be creative while doing it." 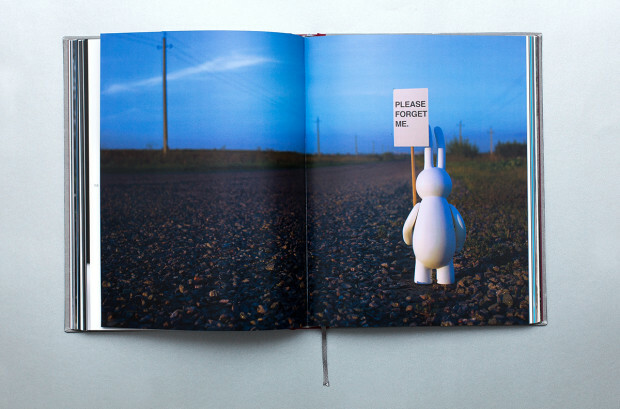 "Roman was an active member of the toy community; he visited fairs all around the world, talked to designers. He was so open, communicative and enthusiastic that he got along with everyone who had a chance to get to know him. 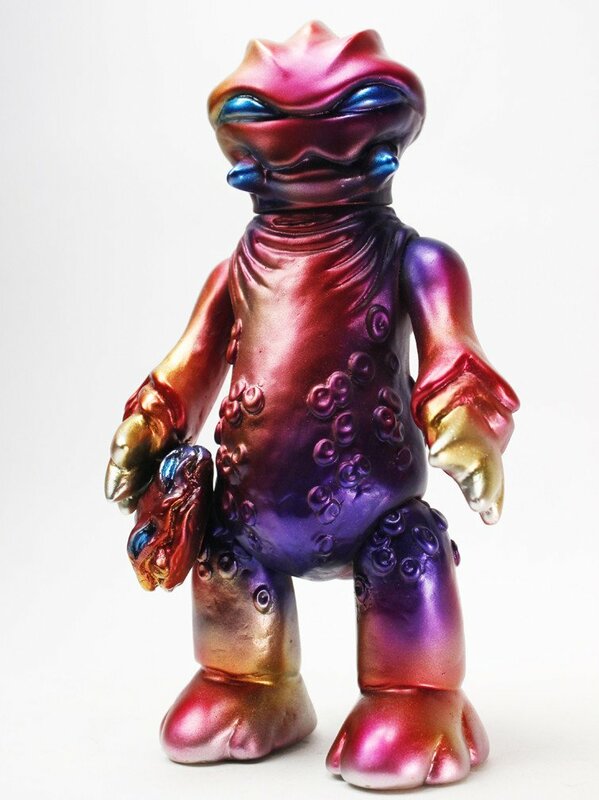 He became quite well-known in the global toy community; so after he passed away in 2014, Coarsetoys released an action figure of Omen Fade as a tribute to him. We are grateful to the company founders Mark and Sven for granting us the right to use the sketch of Omen on our book cover. It is extremely important for us. 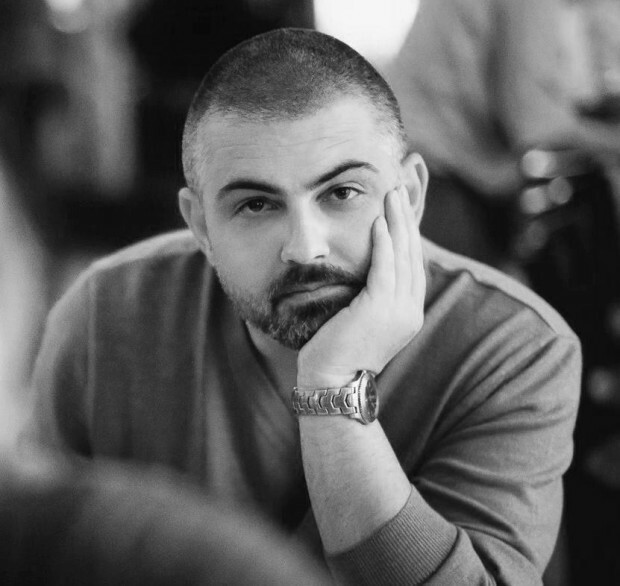 Roman was the biggest contributor to the popularity of designer toys in Russia, largely thanks to his photographs. He did not just take photos of the action figures, every time he told a little story and introduced the figure from a very special, different angle. The figures were not just part of Roman’s collection, in his photos they came to life and acted as characters of lots of stories. His pictures always stirred interest and motivated the others not just to collect figures, but to be creative while doing it. " $50 will get you a copy of this book. Click here to back the campaign. Possibly the coolest supersized POP sets ever? I say yes. This new lineup from Funko features a giant mech suit chassis that they call a Titan. This chassis is the MOB-1316 and comes with the driver, Sarah. 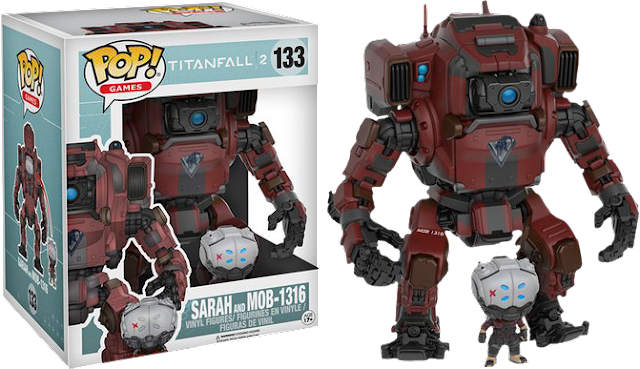 The MOB-1316 is a 6" figure and Sarah is 2" tall and she fits inside the Titan! Pretty damn cool, and priced right at $25. Grab your Titanfall Sarah & MOB-1316 set here! Our shipment arrives Nov 21 or 22 and all preorders ship immediately. Bigshot Toyworks is bringing the indy collectible fire to Pasadena, CA and the 2016 DesignerCon event! This is an event that is open to the public on Saturday Nov 19 and Sunday Nov 20. Tickets are quite inexpensive and can be purchased here. Southern Fried Gentlemen (pictured above): Regular, Old Timey Mono and Golden Crispy Editions. 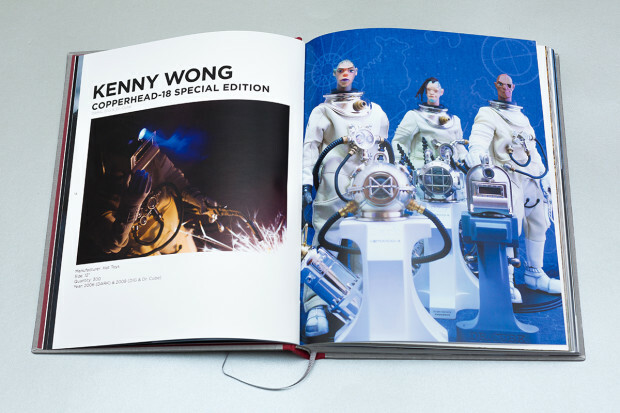 Regular edition of 100 priced at $85, Exclusive Mono and Golden each limited to 20 pieces and priced at $100. Mother Earth is a ready-to-hang 3D sculpture designed by Angryblue and developed and produced by Bigshot. Limited to 100 pieces; $125 ea. 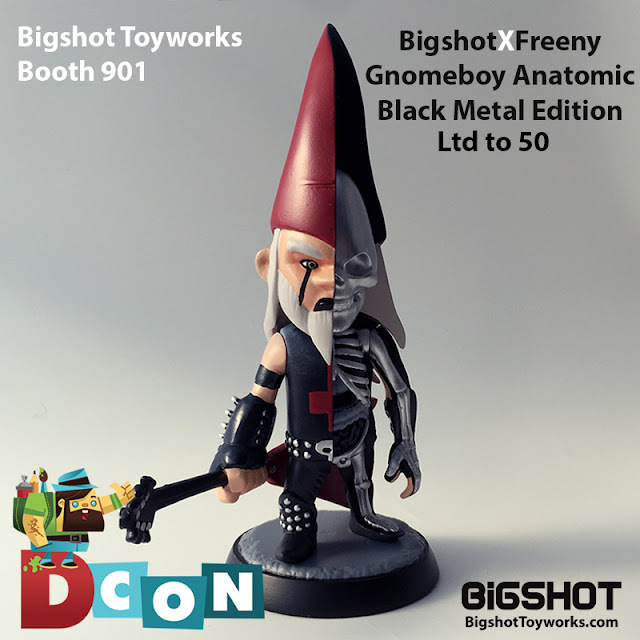 Two variants available: Ragnar "The Metal Gnome" Hellstrummer Gnomeboy Anatomy Black Death edition Bigshot x Jason Freeny, limited to 50 pieces; $75 ea (above). Regular edition limited to 200 pieces; $65 ea (below). Bigshot has been forward-thinking enough to set aside some of each of the above items for online sales to benefit their legions of fans worldwide! All of the above are available for preorder from the Bigshot Toyshop right now, with the sea shipment slated to arrive in 3-4 weeks. On top of all of the above, Bigshot will also be selling FUnicorns, the Four Horsies of the Pocalypse figures, All City Style DIY trains and the few remaining Mike Mignola Monkey with a Gun sculptures. This booth is gonna be packed! Be sure to stop by Booth 901 to say hello to Klim and Benny, and make sure to show up for the 1PM Saturday signing session with Angryblue! See all of you in Pasadena hopefully! 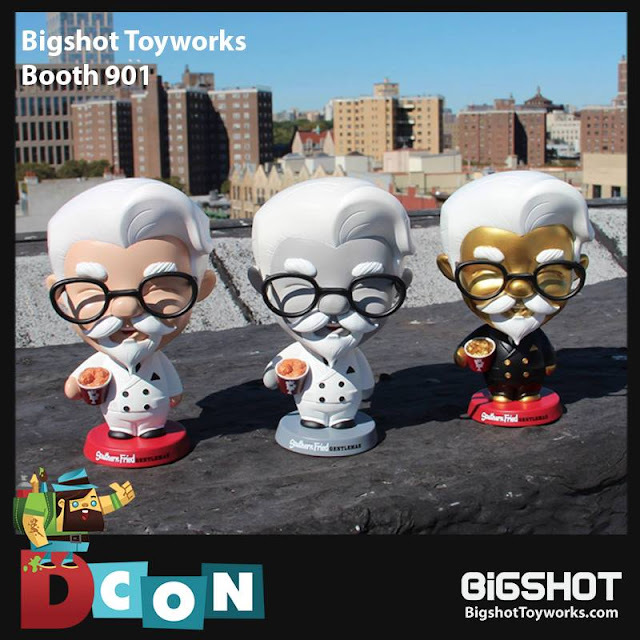 Benny will be at the Bigshot Toyworks booth #901. Mark will be roaming around. More of our contributors might be there as well! Be sure to come find Benny at 901 if you think you'd like to contribute to this blog. We are always seeking new writers! 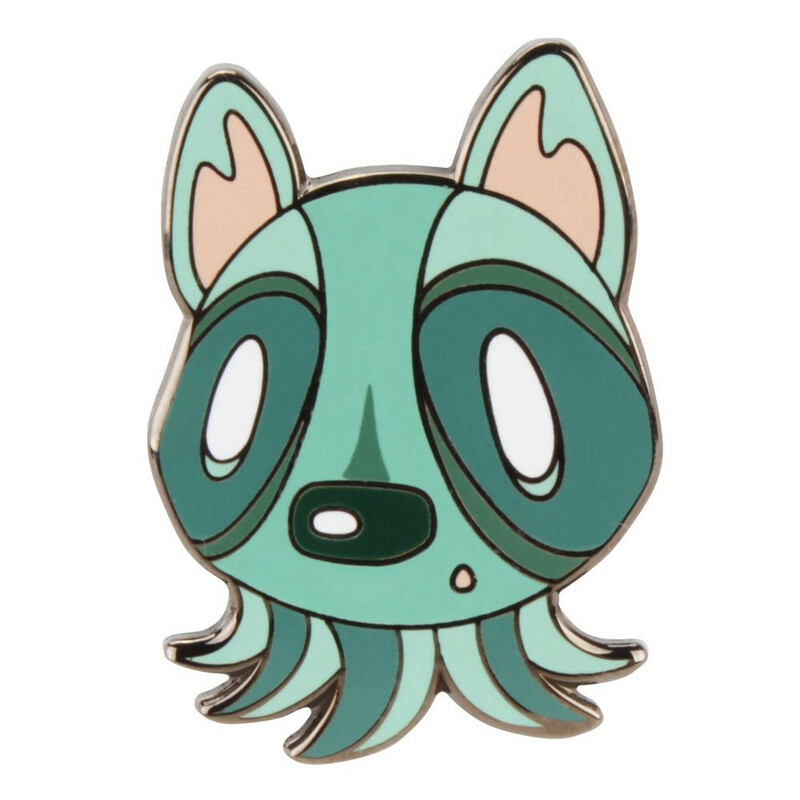 The second enamel pin in The Artpin Collection, teased here last month, has finally dropped, and man it looks great! 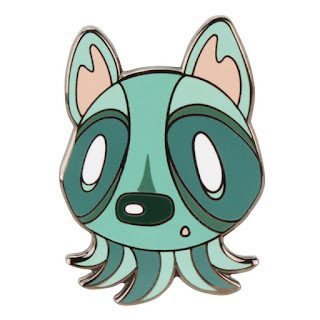 The 'Octopup' design is the first pin by Nathan Hamill, and is available for order from Rotofugi. Limited to 125 pieces, at a size of 1.25'', these hard enamel pins on card go for $12 a pop. The Artpin Collection is a project curated and produced by Tel Aviv-based pin collector and toy artist Avri Rozen-Zvi, aims at releasing unique pins by low-brow artists, toy designers, and illustrators, for all you avid art-toy collectors. The first pin in the project, Swanicorn & Panda, a unique combination of artwork by Daniel Fleres and Podgy Panda dropped earlier this year exclusively via Rotofugi, and can be purchased here. 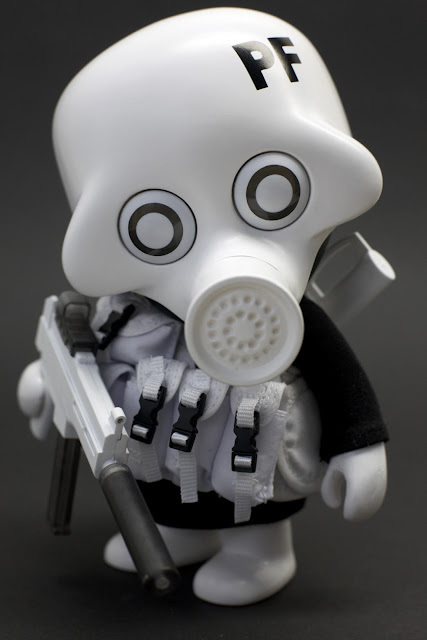 Up for preorder now (and arriving in December) is the LAST Squadt produced by ThreeZero for Playge: PEACE FUCKER! $99, ships free within the US. Click here to buy PEACE FUCKER! 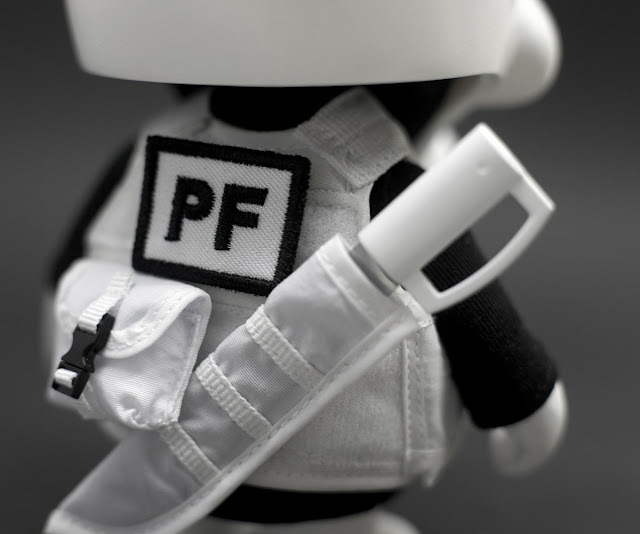 SQUADT GERM s006 [PEACE FUCKER] includes the following: 6” Squadt vinyl figure, removable Germ helmet, Peace Fucker shirt, tactical vest w/ removable pouches, sUMP, machete, PF patches, RPG and 2 sets of lenses plus classic and 2.0 arms. 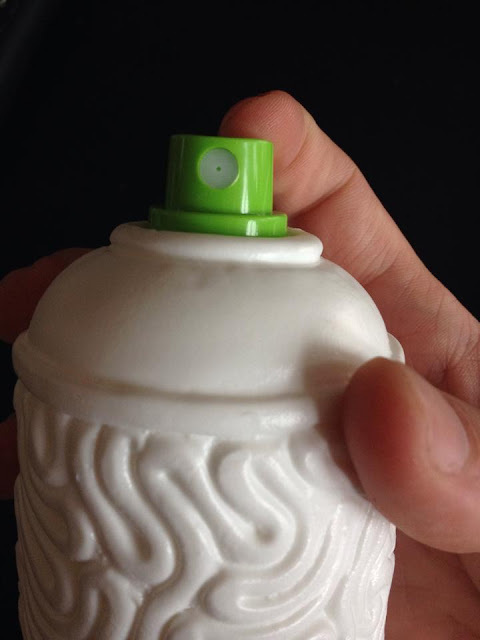 (To be clear, there will be more Squadts, they'll just be produced by Squibbles / Rotofugi after this). Order NYCC Exclusive Dragonfire Bangagon by GUUMON today! UVD Interviews Mike Giant At Inner State Gallery For His new Show "Impermanent Vacation"
While in Detroit Urban Vinyl Daily got to talk with the legend Mike Giant about his new show "Impermanent Vacation" hosted by Inner State Gallery. 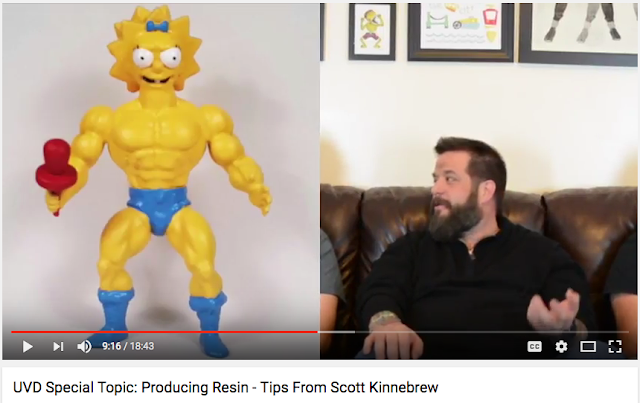 In the interview Mike talks about the creative process, inspiration, the meaning behind the show title and so much more! To keep up with UVD's latest videos make sure to subscribe at the link here. 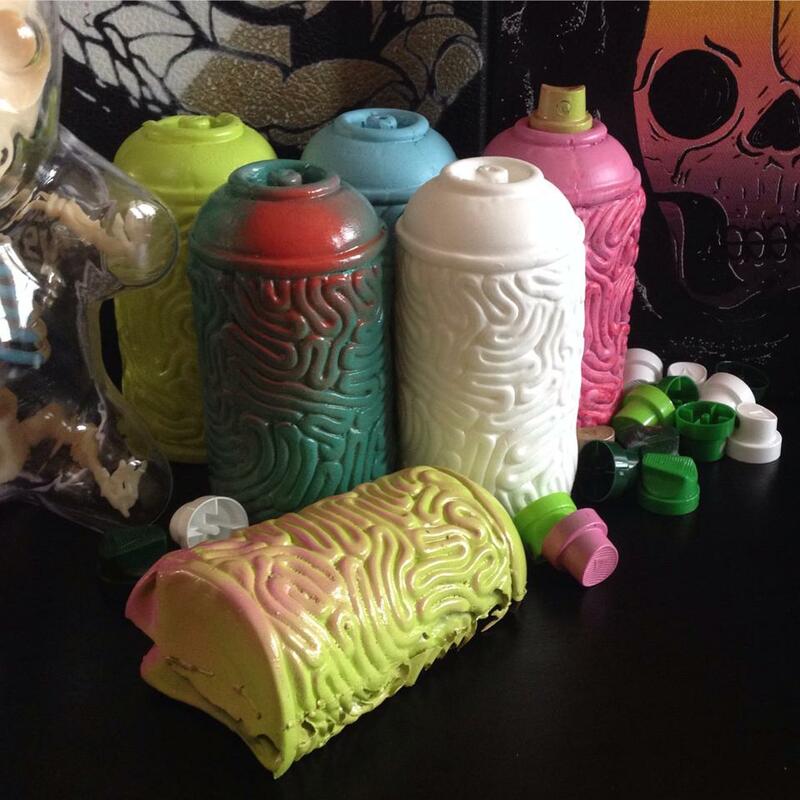 Brain Can was designed based on the shape of real can of spray paint. The original was hand sculpted by Ryan Taft in the USA, and the final product includes a sculpted valve that allows you to put your favorite cap on your Brain Can. When primed, Brain Can will accept acrylic, ink, spray paint, and more. 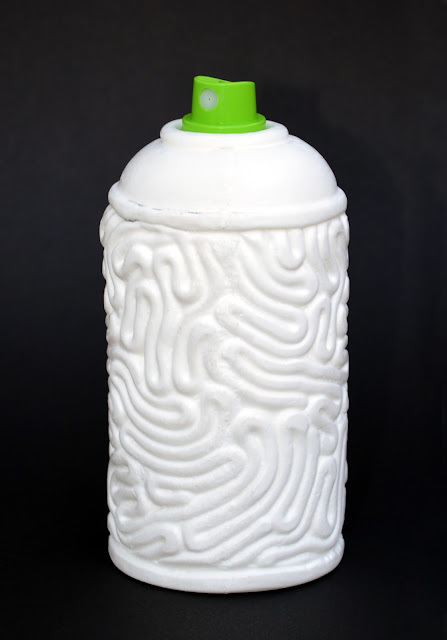 When you are finished painting your Brain Can, you can put it on your desk or give it as a gift. Or, give that creative someone in your life a blank to paint on their own. Brain can is 5" tall and about 2" in diameter.